Provide comfort for the family of Helen Donvan with a meaningful gesture of sympathy. Helen M. Donvan departed this life quickly and gently on the morning of February 10, only months shy of her 98th birthday. All who knew and loved Helen are invited to attend a 10am Funeral Mass on Thursday, February 21, at the Gate of Heaven Cemetery’s Our Lady Queen of Peace Chapel, 10 West Stevens Avenue, Hawthorne, NY. Helen was born in Manhattan on June 16, 1921, the daughter of immigrants from County Clare, Ireland: Joseph Meade, a uniformed New York City police officer, and Nellie Monahan, originally a nanny and housekeeper. She was oldest sister to Margaret “Peggy” Meade (Mahoney), and Josephine “Josie” Meade (Van Deventer). She cherished every memory of family life from her earliest years, when the Meades lived first in Manhattan’s east 90s, then in the island’s Inwood neighborhood, and finally in the Riverdale section of the Bronx. A superb student, she attended Sacred Heart High School and then, owing to her parents’ emphasis on education, she became the first person in her extended family to attend college. She graduated from the College of Mount Saint Vincent with a degree in Chemistry. In 1945, she married Francis “Frank” Donvan, also of the Bronx, with whom she raised three children: Nancy, John and James. They settled into the Edenwald section of the Bronx, later moving to Colonial Heights in Yonkers. In her 30s, Helen completed a master’s in education from Columbia University’s Teacher’s College. Through the 1960s, 70s and 80s, she was a full-time educator, teaching third and fourth grade at PS 103 in the Bronx, and sixth grade at PS 30 in Yonkers. In this role she was highly regarded by all – even beloved. Many of her students maintained contact over decades, some up to the present. Upon retirement from teaching, Helen realized a long-postponed ambition to see the world. Her travels took her all over the United States, as well as to China, Japan, Australia, the Middle East and several western and eastern European countries. Ireland remained her favorite destination. On her many trips there, she tracked down and built lasting relationships with legions of cousins, aunts and uncles. Helen was bright and funny, a person who made friends everywhere, and who was endlessly excited to meet new people and try new things. In her last months, she discovered the History Channel, marveling at the places it took her night after night. A particularly recent development became her new favorite topic of conversation -- the birth of her first great grandchild, Sam Stevick. Besides Sam, Helen is survived by her three children, Nancy Stevick (Glenn), John Donvan (Ranit Mishori), and James Donvan (Stephanie), as well as grandchildren Michael and Matthew Stevick, Benjamin and Noa Donvan, and Grace Donvan. Those wishing to honor Helen’s memory with a charitable contribution are asked to consider the American Macular Degeneration Foundation. 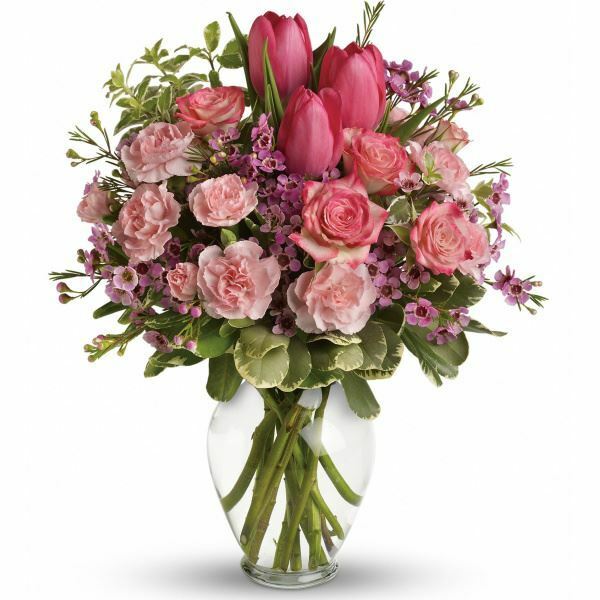 Sincerely,Miho Ebihara sent flowers to the family of Helen M. Donvan (Meade). Thinking of Mrs.Donvan and your family. Sending this with love and many prayers and hope that her peace is with your family too. Sincerely,Miho Ebihara purchased flowers for the family of Helen Donvan.